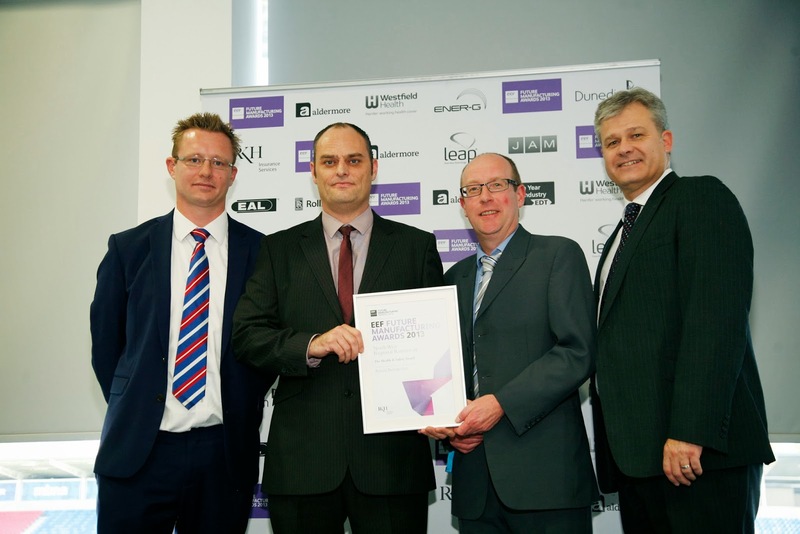 Richard Burbidge, the stair parts specialist, has won the Investing in Skills category at the North West Engineering Employers Federation (EEF) Future Manufacturing Awards in a ceremony held at Salford City Stadium. The company will now go on to compete in the national finals, which will be held in London in January 2014. Richard Burbidge’s implementation of the Lean Manufacturing philosophy was outlined as a key contributor to its success, with the stair parts, decking and mouldings manufacturer demonstrating its ability to improve efficiency and provide a better service to its customers by engaging staff at all levels to adopt new ways of working. Since implementing the Lean Manufacturing philosophy the business has successfully trained 105 managers, purchasing staff, production planners, general operators and engineers in the philosophy’s techniques, showing its commitment to cementing efficient practices within the organisation. 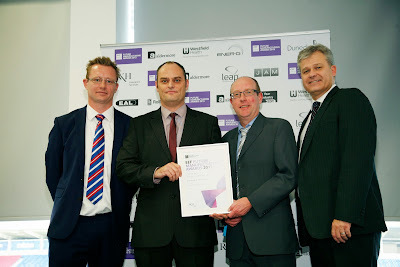 “We are delighted to win the regional EEF Future Manufacturing Award. As a family-run business spanning many generations, we are particularly pleased to be recognised in the Investing in Skills category. Richard Burbidge was also a runner up in the Health and Safety Award for the complete renewal of its Health and Safety policy, which included the training of staff at all levels from directors through to operators. For more information on Richard Burbidge please visit www.stairproject.co.uk. Jazz Up Boring Garage Doors this Christmas! Are there enough homes for the ageing population?